Plot and character are the two forces at the heart of every story. I'm reading 20 Master Plots and How to Build Them by Ronald B Tobias. It is brilliant! In the first third or so of the book Ronald B Tobias asks the questions: What is plot? What is character? What patterns make up plot? What follows are some of my notes. Plot is about creating expectations in the reader. Plot isn't a wire hanger you hang the clothes of a story on. Plot is diffusive, it permeates all the atoms of fiction. It can't be deboned. Tobias writes that plot is like electromagnetism, it's "the force that draws the atoms of the story together. It correlates images, events and people." [Plot] is a force that attracts all the atoms of language (words, sentences, paragraphs) and organizes them according to a certain sense (character, action, location). It is the cumulative effect of plot and character that creates the whole. Plot isn't dead, it isn't static. "Plot isn't an accessory that conveniently organizes your material according to some ritualistic magic. You don't just plug in a plot like a household appliance and expect it to do its job. Plot is organic. It takes hold of the writer and the work from the beginning." Here's the distinction Tobias draws between story and plot: story is composed of a series of events but plot has to do with the causal interactions between the events. Story ... is a chronicle of events. The listener wants to know what comes next. Plot is more than just a chronicle of events. The listener asks a different question: "Why does this happen?" Plot is a chain of cause-and-effect relationships that constantly create a pattern of unified action and behavior. Plot involves the reader in the game of "Why?" Story requires only curiosity to know what will happen next. Plot requires the ability to remember what has already happened, to figure out the relationships between events and people, and to try to project the outcome. Where story is "a narration of events in the sequence that they happened" plot "is a story that has a pattern of action and reaction". Aristotle's concept of unified action lies at the heart of the plot. Cause and effect. This happens because that happened, and so on. A unified action creates a whole made up of a beginning, middle and an end. In the first part of the story you present the problem that must be solved. This is the initial action. Here you define your characters and what they want, what they need. This is their intent. What your characters want is their motivation, it is WHY they do what they do. "Whenever intention is denied, the effect is tension." Tension is created through opposition. Characters DO things, they act on the want/need set up in Part 1. That was the cause, now in the middle of the story we see the effect. In the second part of your story characters run into problems that keep them from successfully completing their intentions. Your protagonist is motivated by her wants, her desires, and she acts to fulfill them, but something prevents her from doing this, from attaining her goal. Aristotle called this something a reversal. Tobias writes, "Reversals cause tension and conflict because they alter the path the protagonist must take to get to her intended goal." Recognition is "the point in the story where the relationships between major characters change as the result of the reversal." A reversal is an event but recognition is "the irreversible emotional change within the characters brought about by that event". The ending is the logical outcome of all the events in the last two parts. Three things happen at the end: the climax, falling action and the denouement. We've already seen that tension = conflict but there are different kinds of tension. Girl says, "Because you smoke." The girl's refusal to marry the boy because he smokes creates a local tension. It is the result of a conflict of the moment. As the name suggests it doesn't have much of an effect outside the immediate circumstances that created the tension. Because of its localized effect you can't write a novel based on local tensions. It wouldn't work. We need something bigger. Even stringing together local tensions wouldn't work. We need to dig deeper into the character and find out what makes him or her tick. For instance, we could write a novel about the boy's internal struggle whether to quit smoking for the girl. It could be that her father died because he smoked and she doesn't want to risk losing her husband the same way. This would pit the boy's desire to smoke in direct conflict with his wish/desire to marry the girl. Why is smoking important to him? Yes, it's an addiction, but perhaps there is a deeper reason. Ultimately the boy will have to choose between smoking and the girl. Those are strong, or relatively strong, opposing forces that are grounded in character. 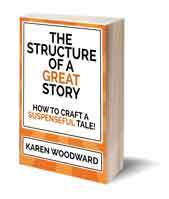 A story requires constant tension and this tension needs to build as the climax approaches. This is another reason we need strong tension, something that can exist in the background. Also, though, the protagonist needs to encounter a series of obstacles/conflicts, each of which deepens the opposition and builds intensity. The serious conflicts, the ones that are the foundation of plot, are the ones that deal with the character in fundamental ways. At the end of the story, in the third act, the tension, the crisis, needs to deepen. 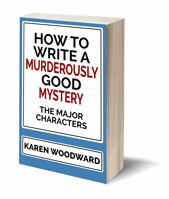 "You must continually test the character through each phrase of dramatic action." Every time something happens the stakes grow. For instance in Fatal Attraction, "The effect of action is to snowball, increasing tension and conflict from the mundane story of a man who has cheated on his wife to one who is battling a psychotic woman who is willing to kill to get her man". Well, that's it! Those are my notes so far. 20 Master Plots and How to Build Them by Ronald B Tobias is a terrific book, I recommend it if you want to read something about plotting and the craft of fiction. What do you think of Tobias' view of plot as inseparable from story? 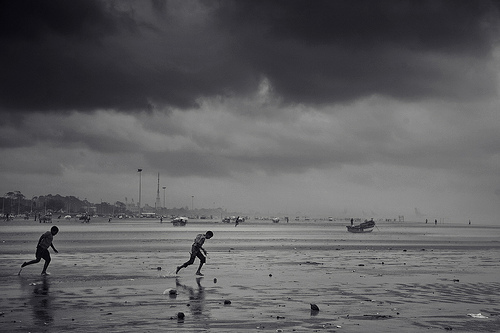 Photo credit: "Against the wind | Chennai Marina Beach" by VinothChandar under Creative Commons Attribution 2.0.